Considering he's asked the same question "about every other day," Peter Cetera still has no snappy retort after all these years. Would he ever consider performing again with Chicago? The notion makes him uncomfortable. "It was a breakup, like a divorce, and there are feelings involved," muses Cetera. "It's like saying, would you sleep with your ex-wife from 30 years ago? OK, would you do it for a wad of cash? OK, could you bite the bullet for one night?" Cetera is "not a rich man, by any means," but he doesn't need a wad of cash, likely because he lives in Ketchum, Idaho, which, while affluent enough, isn't exactly Rodeo Drive. "After Chicago and I split, why live in Los Angeles? I mean, really. And I'm not an investor, I don't play the market, my mind doesn't think that way," said Cetera, by phone from Nashville, where he's visiting one of his daughters. "Probably a good thing too, after seeing what's happening to the professional investors this last week." Cetera is comfortable because, frankly, after parting ways with Chicago in the mid-'80s, he became not only a huge recording star, performer and songwriter on his own, he also became a go-to guy for duets and team playing. His performances this weekend in the Honolulu Symphony Orchestra's Pops concerts will highlight that winning streak. 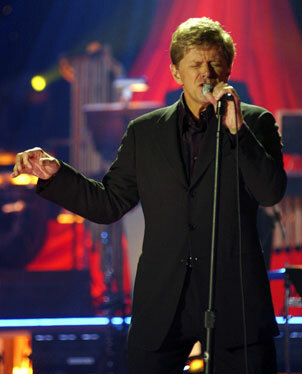 IT WAS WHILE collaborating with uber-arranger David Foster that Cetera got a taste of working with symphonies. "I have a four-piece unplugged group, which allows us to hook up with everything from symphonies to string quartets. We don't have a lot of back-line gear; the guitarist travels with his instrument, the pianist picks up one on site. "Most symphonies aren't that familiar with my stuff, so there are many, many, many charts, and long rehearsals. We like to come in early and do it all at once -- generally rehearse the day of the program. For Hawaii, we're coming in a day early." He also has a seven-piece electric group for solo gigs. Generally, Cetera and his band do some tunes by themselves, and then have the orchestra play behind them. "Songs I wrote years ago, some had strings in the arrangements, so we just work that in. With the unplugged group and the symphony working together, it's quite a lovely sound. Some songs are modified to take advantage of the orchestra, and some are just out there by themselves." Cetera says he likes performing, but he's not crazy about it. "The time on stage is fun, enjoyable. Everything else is just ... work. Do I feel the need to tour? No. Do I need more money? Sure, everyone does. A lot of us who were in rock 'n' roll back then and were supposedly successful had money promised that somehow never actually made it to us. My friend Steve Miller, he hung on to his copyrights -- now HE'S doing very well!" What about songwriting? Recording? Reviving that string of monster hits? "Songwriting. Huh. Well, I kinda need a purpose to do it. A goal. a project. I'm not a guy who's bursting with tunes," said Cetera, being modest. "The last recording I did was a long-overdue Christmas album a couple of years ago. Playing with symphonies gives me a reason to perform. And the recording business has changed. It's all Internet now, and I'm not really part of that."